comes w/ GigBag, Strap, Picks, extra Strings and On Line Lessons! A great choice for any aspiring player, the re-designed CD-60S delivers a bold playing experience. It boasts upgraded features that players of all types are sure to love, including a solid spruce top, comfortable fingerboard with rolled edges and a new, easy-to-play neck shape. The CD-60S features a mahogany back and sides to complement its solid spruce top for warm and balanced tone. 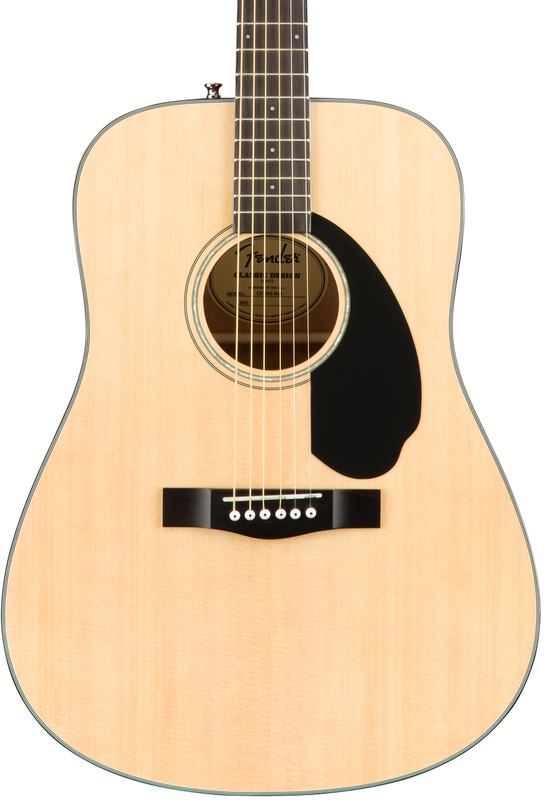 The dreadnought-sized body provides traditional full-bodied output with plenty of projection, so whether you're playing at home, around the campfire or at the coffee shop, you'll get classic Fender sound and vibe with the CD-60S. This complete starter pack includes the CD-60S, along with picks, a strap, a spare pack of strings and a free 30-day trial of Fender Play with access to hundreds of online lessons—everything you need to start playing instantly.